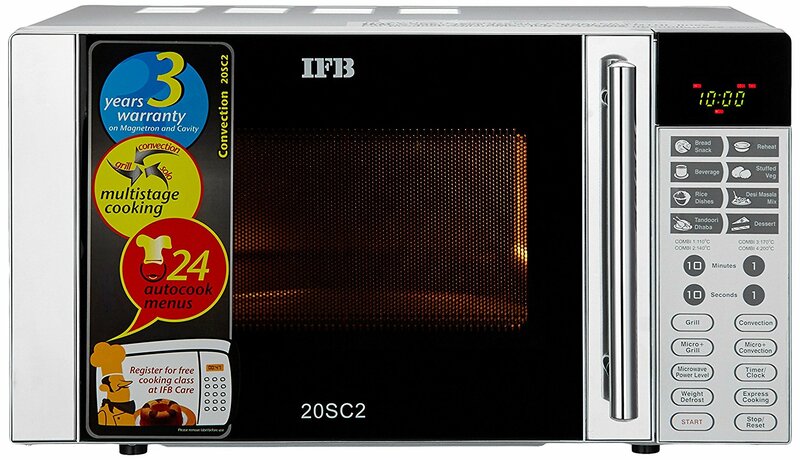 IFB 20 L Solo Microwave Oven (20PM1S, Metallic Silver) comes with advanced features and capabilities to deliver the best cooking result. 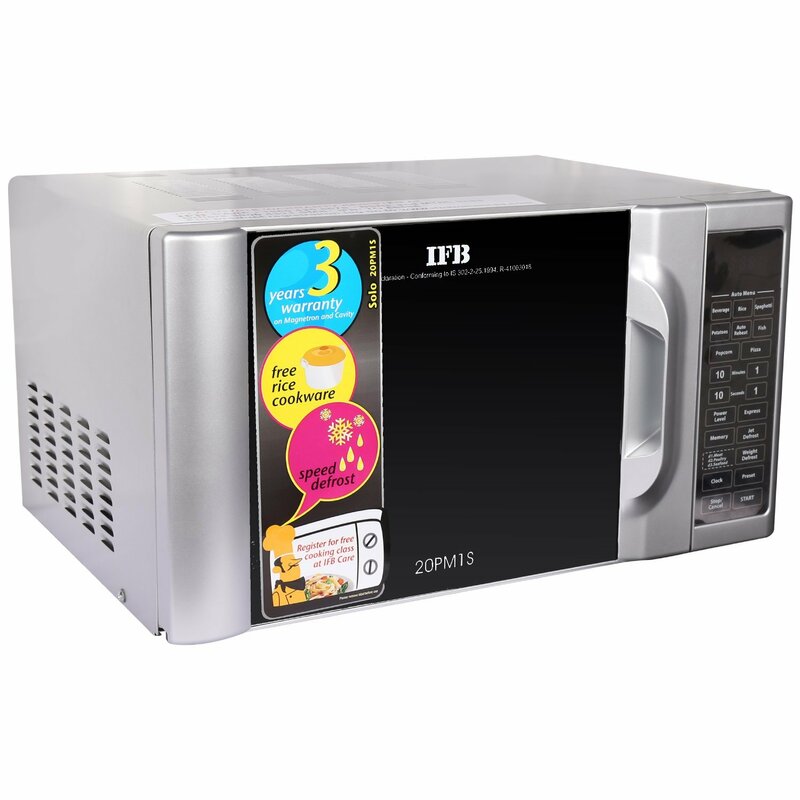 This IFB 20 liters microwave oven comes with 3 years of warranty on magnetron and cavity for the peace of mind for a long time. 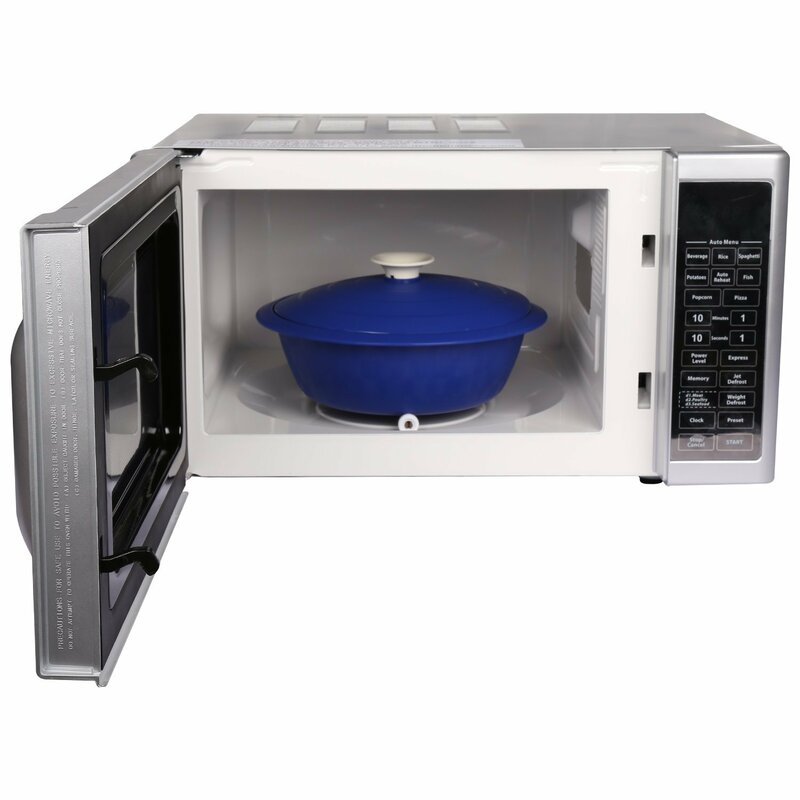 Further, it has weight and speed defrost feature that can greatly save time by just using microwave power to defrost frozen food by simply setting the time. On the other hand, the weight defrost feature lets you enter the weight of the food item you want to defrost and rest of the work is done by the microwave. 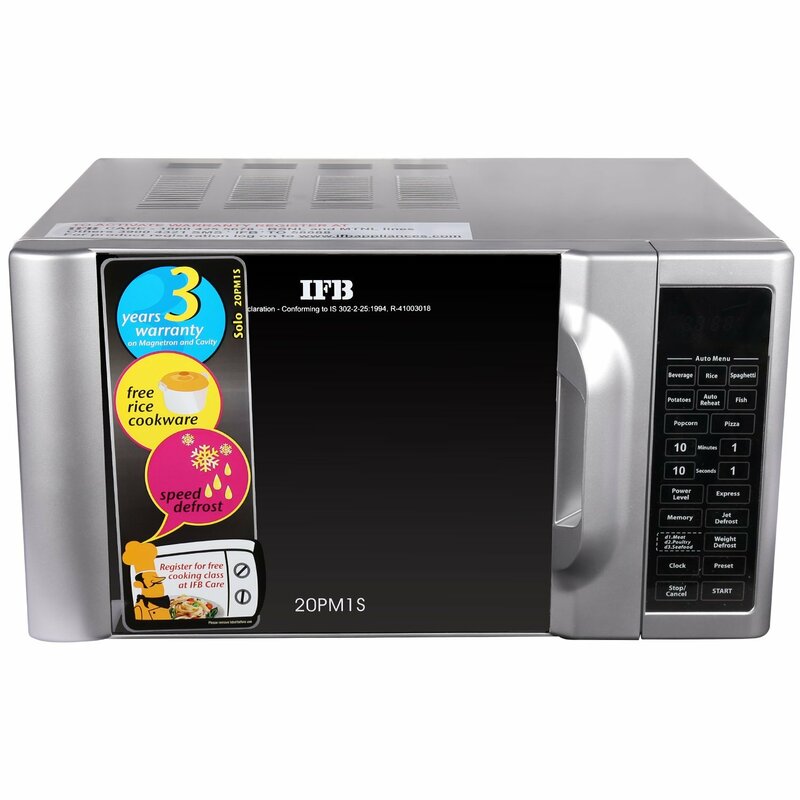 IFG 20PM1S microwave comes with 8 auto cook menus that let you explore new flavors and recipes at the comfort of your own home. You just need to enter the weight and leave the rest to the auto cook feature. 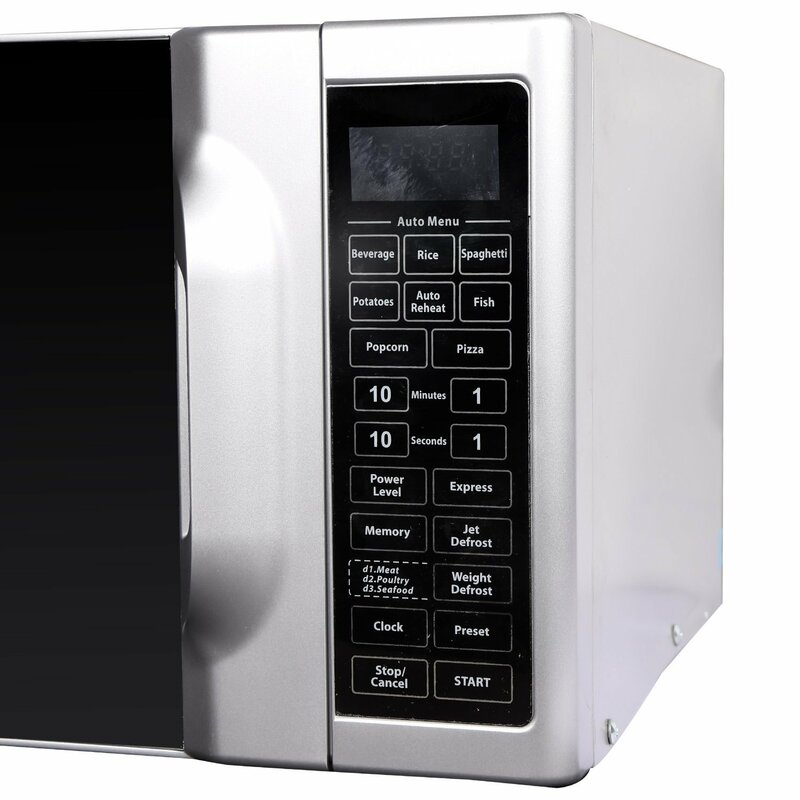 Further, it has time display feature that is very useful to know the microwave settings like cooking time, power level etc. 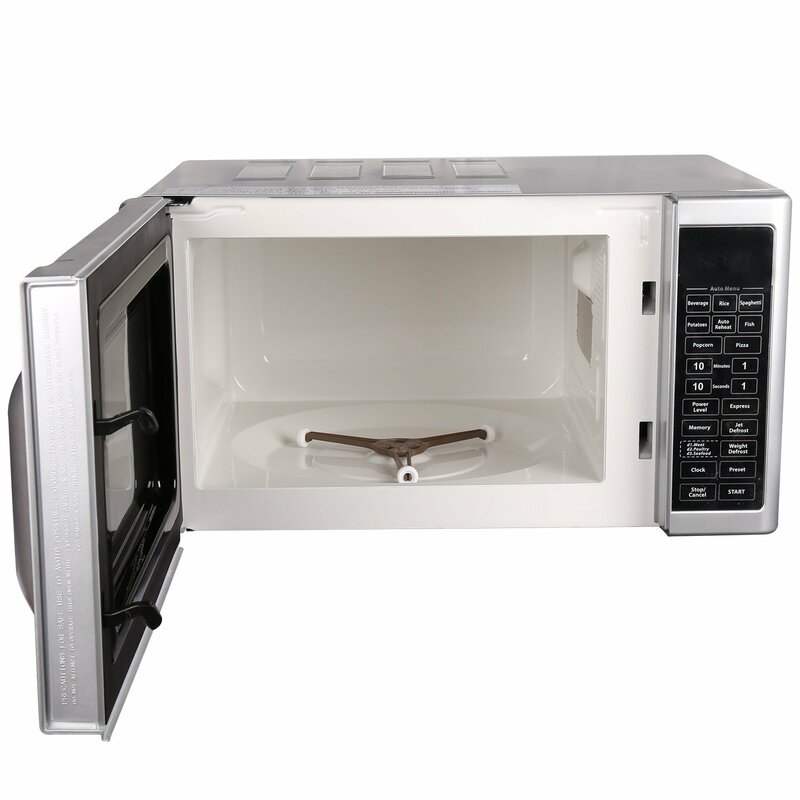 On the other hand, the quick start comes with instant microwave option. You just need to set the weight and push the quick start button and get going. With the addition of Delay Start feature, you will have more cooking flexibility than others. You just need to set the delay time and your food will automatically be cooked and ready to be served on the right time. 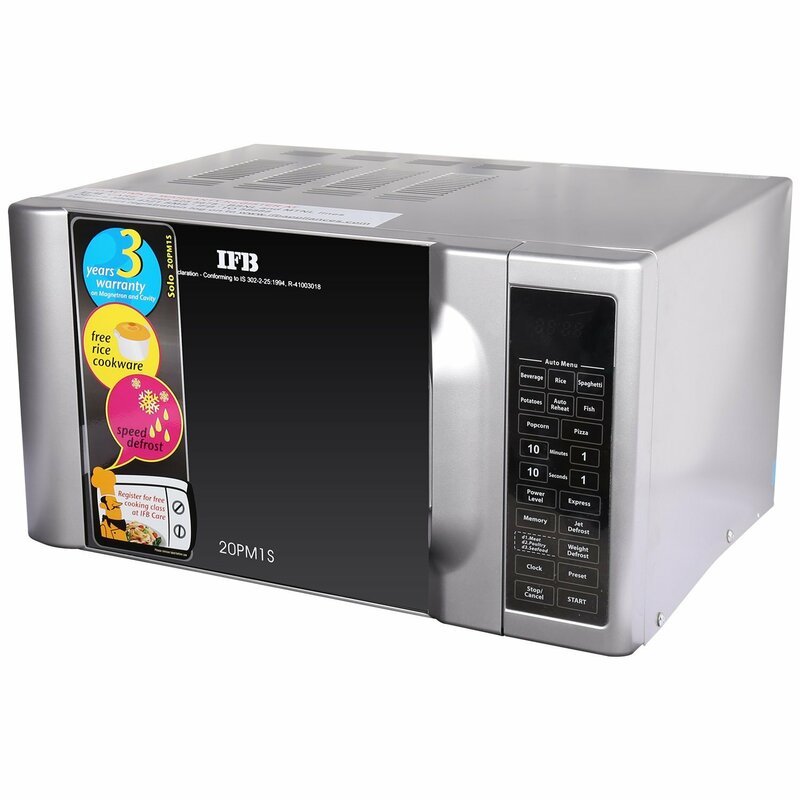 IFB 20PM1S solo microwave oven is the perfect kitchen appliance to get a hot meal every time without compromising on taste.